I joined Mosaic Monday today and wanted to share some of the beautiful flowers and friends in my garden. 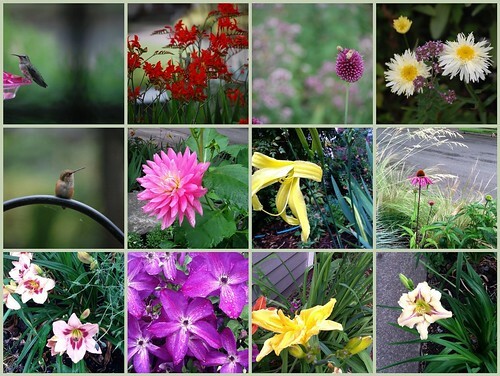 See two kinds of hummingbirds, crocosmia, drumstick alliums with bees on them, my frilly shasta daisies, echinacea, a purple clematis, and several different daylilies. Also, take a look at some of the other beautiful mosaics by other gardeners at Little Red House, and enjoy. thank you for coming by. Yes, indeed that is a pink daylily. There are so many pretty ones, and I have only gotten into them in the past three or four years. My eye covets more than the space I have available. As with many things. Beautiful flowers – but I am just as enchanted with the hummingbirds! Thank you. I really enjoy watching the hummingbirds chase each other. I am sitting here watching a Rufous hummingbird dive bomb an Anna’s hummer. It is a shame, that you don’t get to watch the hummingbirds. They are so much fun. Watching the Hummingbird Wars is particularly entertaining. 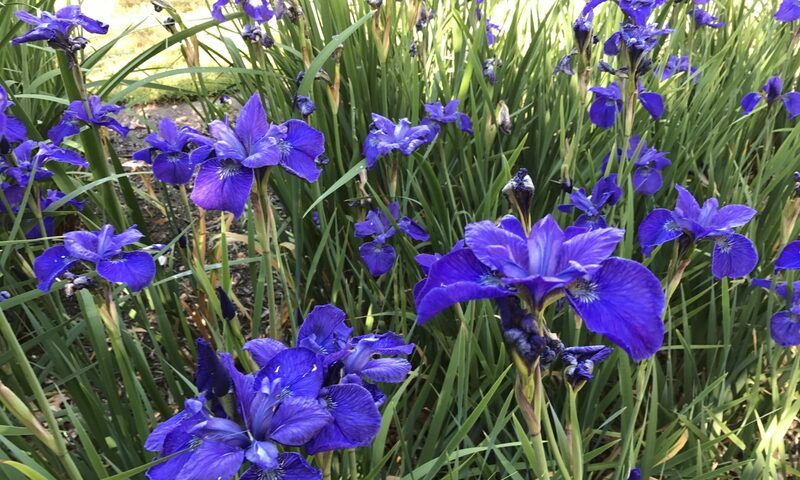 Great shots of your garden! I particularly like the photos of the hummingbirds. I don’t think I ever get tired of watching them. Welcome to Blotanical! Thank you for coming by and for your comments. I am finding that Blotanical is quite interesting. So many people with so many nice blogs. I did enjoy them. What fun to see such pristine blooms from your garden.